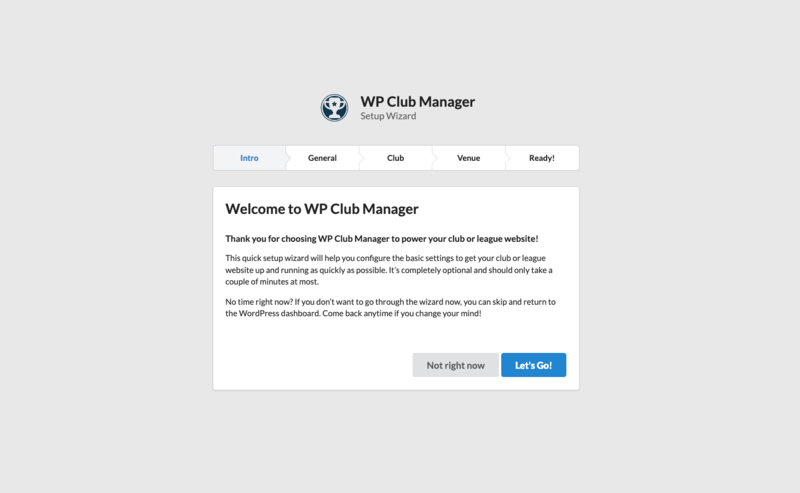 The quickest and easiest way to get started with WP Club Manager is to use the Setup Wizard which will guide you through the first steps of configuring the plugin. To use the Setup Wizard simply click the Setup Wizard button in the Welcome notice when you first install WP Club Manager. You can access the wizard at any time by clicking on the Help tab on any of the plugins Admin screens and navigating to the Setup Wizard tab. You will be redirected to the Setup Wizard.